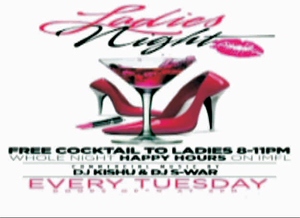 In India about one third of the men and around two per cent of women are alcohol users. Alcohol consumption in India is increasing by 10-15 per cent every year. Full report: “Alcohol Marketing and Regulatory Policy Environment in India"
India’s alcohol consumption is increasing by 10-15 per cent per year, and among drinkers binge drinking is the dominating pattern. India is now one of the key emerging markets for the global spirits industry. New documentation on the alcohol situation was presented at a national launch conference in New Dehli late 2013. 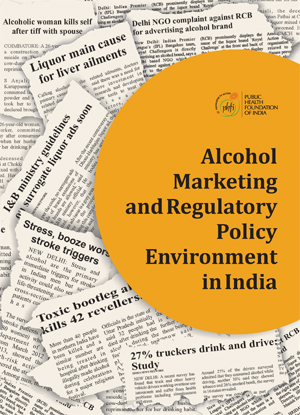 The report, titled “Alcohol Marketing and Regulatory Policy Environment in India”, has been produced in a collaboration between the Public Health Institutes of India and Sweden. In April this year the report will be followed up by a new national conference in India, this time with the purpose of discussing how knowledge from the report can be translated into effective alcohol policies. The plan is to develop a national alcohol action plan for India, the first ever of its kind. A television report from the launch conference last year can be viewed here. Comments given to the report in the TV news include a strong demand to ban so-called surrogate advertising and the need to establish a national-level monitoring system for alcohol comsumption and alcohol problems. Much of the alcohol policy of India is decided at state level, which means that there may be substantial differences from one state to the other. In India about one third of the men and around two per cent of women are alcohol users, which are low figures compared to many other countries. On the other hand, alcohol consumption in India is increasing by 10-15 per cent every year, a trend which is closely linked to economic growth and increases in purchasing power among a large and steadily increasing Indian middle class. At the same time alcohol-related harm and costs to repair such harm are on the rise. The new report highlights the various characteristics of the alcohol industry. It draws attention to the key alcohol players in India and the types of alcohol products and brands available in the market. It also discusses the production and distribution of alcohol under different names. The second part of the report reviews policies that regulate alcohol in different states. The third section focuses on the advertising and promotion of alcohol products across India and how the industry circumvents laws regulating and prohibiting alcohol advertising. In conclusion, the report recommends strategies and interventions for policymakers and other key stakeholders to consider as part of a comprehensive alcohol control policy in India. Alcohol has increasingly become an important commodity in India’s emerging economy with the number of consumers of spirits and imported alcoholic brands growing rapidly. India is the dominant producer of alcohol (65%) in the South East Asia region and contributes to about 7% of total alcohol beverage imports into the region. Alcohol use in India has registered a steady growth rate of 10% to 15% each year during the past decade with greater expansion seen in southern parts of the country. The per capita consumption of alcohol, among adults, (over) 15 years in India, has increased by 106.7% between 1970-72 and 1994-1996. India is now one of the key markets for the global spirits industry. The alcohol industry includes producers of distilled spirits, beer, wine, network of distributors, wholesalers, and related industries including hotels, restaurants, bars, and advertisers, says the new report. Alcohol is the most commonly used intoxicating substance in India. It is a legal product but there is a minimum legal drinking age that varies from state to state (from 18 -25 years). Traditionally, India has been among countries with low alcohol consumption levels, but in recent times, consumption levels of alcohol have increased as a result of expansion in commercial production and marketing campaigns by the alcohol industry. Alcohol marketing and promotional strategies focus more on upwardly mobile consumers through innovative and targeted approaches, including various social media forums, which provide a suitable platform for alcohol retailers to connect with consumers.